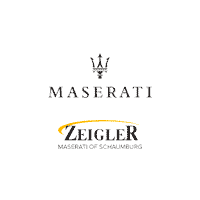 When it’s time to elevate your daily drive around Chicago, our team at Zeigler Maserati of Schaumburg is ready to help you take the next step. From the fan-favorite Maserati Quattroporte to the stylish Maserati Ghibli to the formidable Alfa Romeo Giulia, there are many luxurious options in our exclusive inventory for all sorts of preferences. Once you’ve reviewed our vehicles in stock in Schaumburg, contact us to get started on your new car buying process. This is the perfect vehicle for you. Don’t believe us? Come in today for a Test Drive, and Discover what it feels like to drive Italian Performance. New Price! Black 2019 Maserati Ghibli S Q4 We proudly serve Schaumburg, Chicago, Elgin, Hoffman Estates, Crystal Lake and Arlington Heights. We look forward to making your experience at Zeigler Chrysler Dodge Jeep is as easy and enjoyable as driving your new car will be! If you have any questions, don't hesitate to contact us online, or stop by our dealership today! Blue 2018 Maserati Ghibli S Q4 GranLusso Priced below KBB Fair Purchase Price! We proudly serve Schaumburg, Chicago, Elgin, Hoffman Estates, Crystal Lake and Arlington Heights. We look forward to making your experience at Zeigler Chrysler Dodge Jeep is as easy and enjoyable as driving your new car will be! If you have any questions, don't hesitate to contact us online, or stop by our dealership today! New Price! Silk 2019 Maserati Ghibli S Q4 GranLusso 10 Speakers, Blind spot sensor: warning, Exterior Parking Camera Rear, harmon/kardon 900 Watts Premium Audio System, Heated front seats, Heated steering wheel, Navigation System, Power moonroof, Radio: AM/FM w/Maserati Touch Control Plus & Nav, Ventilated Front Seats, Wheels: 19" Silver Poseidone, Zegna Silk & Leather Upholstery. We proudly serve Schaumburg, Chicago, Elgin, Hoffman Estates, Crystal Lake and Arlington Heights. We look forward to making your experience at Zeigler Chrysler Dodge Jeep is as easy and enjoyable as driving your new car will be! If you have any questions, don't hesitate to contact us online, or stop by our dealership today! New Price! Blu Passione Mica 2019 Maserati Levante S We proudly serve Schaumburg, Chicago, Elgin, Hoffman Estates, Crystal Lake and Arlington Heights. We look forward to making your experience at Zeigler Chrysler Dodge Jeep is as easy and enjoyable as driving your new car will be! If you have any questions, don't hesitate to contact us online, or stop by our dealership today! New Price! Nero 2019 Maserati Levante GranLusso We proudly serve Schaumburg, Chicago, Elgin, Hoffman Estates, Crystal Lake and Arlington Heights. We look forward to making your experience at Zeigler Chrysler Dodge Jeep is as easy and enjoyable as driving your new car will be! If you have any questions, don't hesitate to contact us online, or stop by our dealership today! New Price! Bianco 2019 Maserati Levante GranLusso We proudly serve Schaumburg, Chicago, Elgin, Hoffman Estates, Crystal Lake and Arlington Heights. We look forward to making your experience at Zeigler Chrysler Dodge Jeep is as easy and enjoyable as driving your new car will be! If you have any questions, don't hesitate to contact us online, or stop by our dealership today! New Price! Blu Nobile Tri-Coat 2019 Maserati Levante GranLusso We proudly serve Schaumburg, Chicago, Elgin, Hoffman Estates, Crystal Lake and Arlington Heights. We look forward to making your experience at Zeigler Chrysler Dodge Jeep is as easy and enjoyable as driving your new car will be! If you have any questions, don't hesitate to contact us online, or stop by our dealership today! New Price! Silk 2019 Maserati Levante GranLusso 14 Speakers, Blind spot sensor: warning, harmon/kardon 900 Watts Premium Audio System, Heated front seats, Heated steering wheel, High intensity discharge headlights: Bi-Xenon, Navigation System, Power Liftgate, Power moonroof, Radio: Maserati Touch Control Plus, Ventilated Front Seats, Zegna Silk & Leather Upholstery. We proudly serve Schaumburg, Chicago, Elgin, Hoffman Estates, Crystal Lake and Arlington Heights. We look forward to making your experience at Zeigler Chrysler Dodge Jeep is as easy and enjoyable as driving your new car will be! If you have any questions, don't hesitate to contact us online, or stop by our dealership today! White 2019 Maserati Ghibli S Q4 We proudly serve Schaumburg, Chicago, Elgin, Hoffman Estates, Crystal Lake and Arlington Heights. We look forward to making your experience at Zeigler Chrysler Dodge Jeep is as easy and enjoyable as driving your new car will be! If you have any questions, don't hesitate to contact us online, or stop by our dealership today! Blue 2019 Maserati Quattroporte S Q4 3.0L V6. We proudly serve Schaumburg, Chicago, Elgin, Hoffman Estates, Crystal Lake and Arlington Heights. We look forward to making your experience at Zeigler Chrysler Dodge Jeep is as easy and enjoyable as driving your new car will be! If you have any questions, don't hesitate to contact us online, or stop by our dealership today! Black 2019 Maserati Levante S We proudly serve Schaumburg, Chicago, Elgin, Hoffman Estates, Crystal Lake and Arlington Heights. We look forward to making your experience at Zeigler Chrysler Dodge Jeep is as easy and enjoyable as driving your new car will be! If you have any questions, don't hesitate to contact us online, or stop by our dealership today! New Price! Black 2019 Maserati Levante GranSport We proudly serve Schaumburg, Chicago, Elgin, Hoffman Estates, Crystal Lake and Arlington Heights. We look forward to making your experience at Zeigler Chrysler Dodge Jeep is as easy and enjoyable as driving your new car will be! If you have any questions, don't hesitate to contact us online, or stop by our dealership today! New Price! Silk 2019 Maserati Ghibli S Q4 GranLusso We proudly serve Schaumburg, Chicago, Elgin, Hoffman Estates, Crystal Lake and Arlington Heights. We look forward to making your experience at Zeigler Chrysler Dodge Jeep is as easy and enjoyable as driving your new car will be! If you have any questions, don't hesitate to contact us online, or stop by our dealership today! New Price! White 2019 Maserati Quattroporte S Q4 3.0L V6. We proudly serve Schaumburg, Chicago, Elgin, Hoffman Estates, Crystal Lake and Arlington Heights. We look forward to making your experience at Zeigler Chrysler Dodge Jeep is as easy and enjoyable as driving your new car will be! If you have any questions, don't hesitate to contact us online, or stop by our dealership today! Blu Nobile Tri-Coat 2019 Maserati Levante S GL Adaptive Cruise Control w/Stop & Go Function, Bowers & Wilkins 1280W Ultra Premium Audio System, Climate Package, Driver Assistance Package, Forward Collision Warning, Heated Rear Outboard Seats, Heated Windshield Washer Nozzles, Highway Assist System, Surround View Camera. We proudly serve Schaumburg, Chicago, Elgin, Hoffman Estates, Crystal Lake and Arlington Heights. We look forward to making your experience at Zeigler Chrysler Dodge Jeep is as easy and enjoyable as driving your new car will be! If you have any questions, don't hesitate to contact us online, or stop by our dealership today! When you’ve found the next Italian-made Maserati vehicle you’ll want to take for a spin, come down to Zeigler Maserati of Schaumburg to test it for yourself. Apply for financing before you visit us so you can get one step closer to your new car today. You can even rely on us for local recommendations, like the best restaurants for a night out to dinner in Schaumburg!